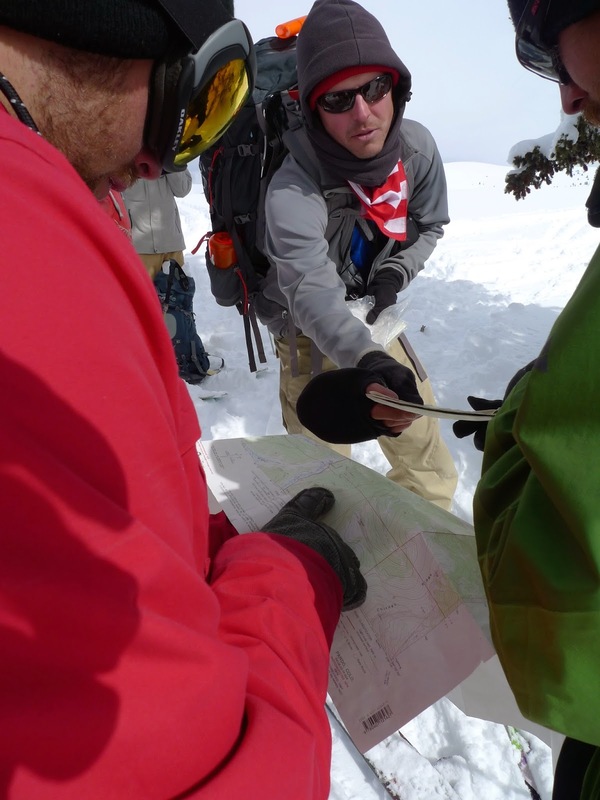 For the last decade I've been excited to work teaching courses through Colorado Mountain College in Leadville. 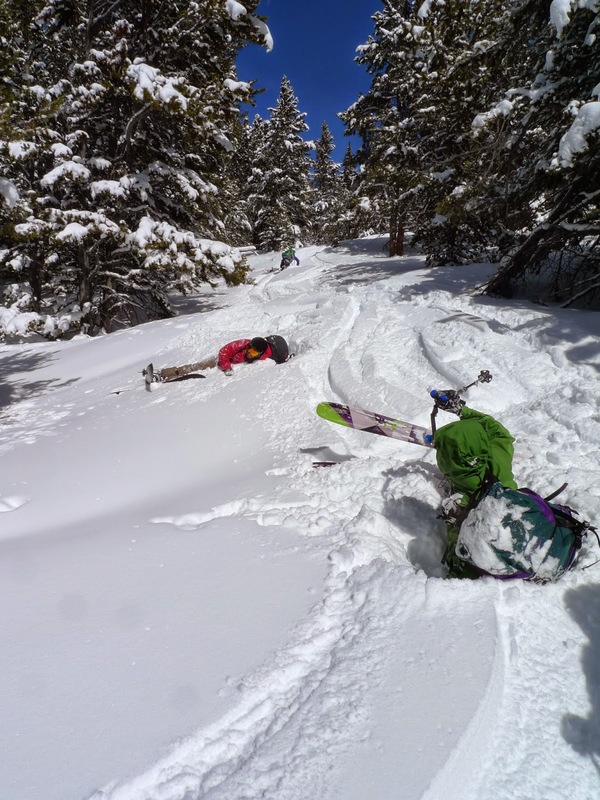 These last two weeks have seen some of the biggest snowfalls of the year and a return to expeditioning in the wild winter world that can currently be found high on the Continental Divide of Colorado. 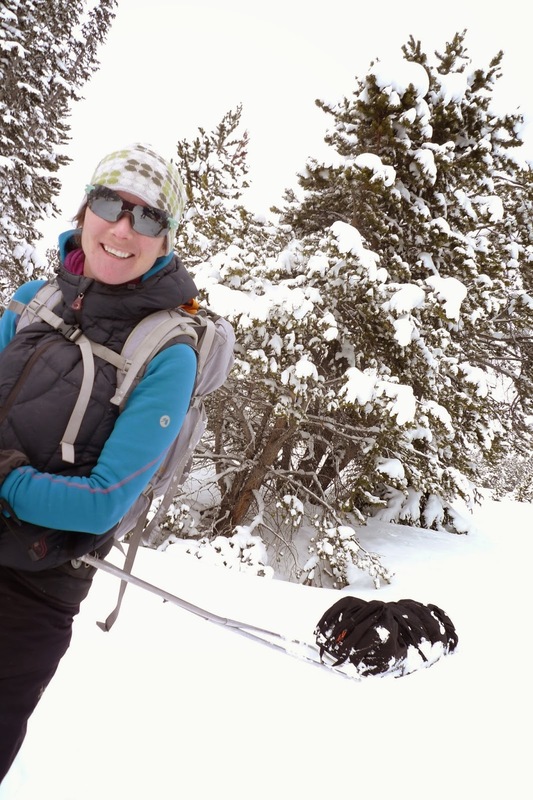 Six men and women braved the temps and ever increasing snow amounts to haul tater-tots and bacon deep(ish) to the backcountry, their sleds full with sleeping pads and bags, puffy jackets and mitts, white gas and hot drinks. The goal? At a basic level to teach winter skills, at a deeper more personal level I think it is more along the lines of to discovering what it takes, preparing for longer more intense experiences, welcoming some adventure and challenge into our lives. 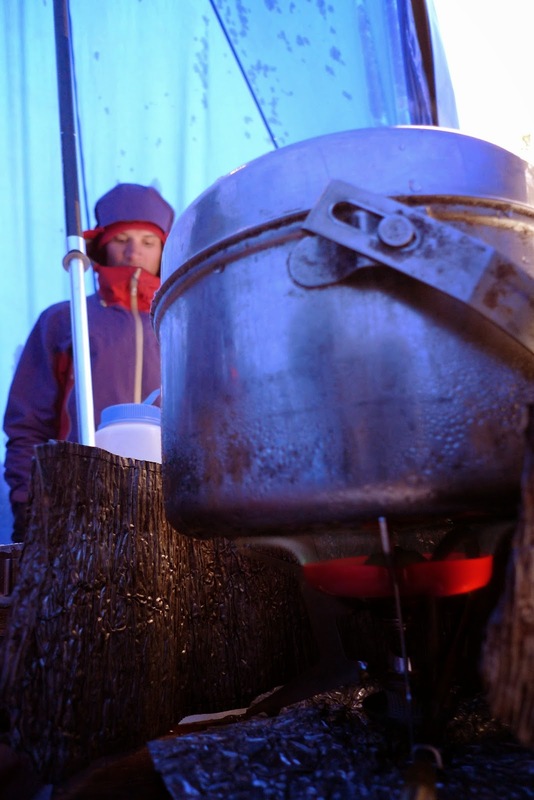 Winter camping reminds me of saturday mornings; lots of plans, but then breakfast lasts till noon. Much of the experience is spent taking care of basic needs, stuff that you often take for granted ~melting water, drying socks, defrosting gloves. Shelters, homes, castles. We made them all. This course saw tarps, megamegamids, tents, snow caves and quinzees. Ryan in the megamegamid (AKA Gigamid) teaching about Quninzees (a type of snow cave). The gigamid. Our dining room, cafeteria and den for the trip. The quinzee. As our students know this word is from the Athabaskan language. Its made from hollowing out the center of a piled heap of snow. We spent half a day heaping the pile and then, after letting it settle itself we spent another half day digging them out. Once inside you are fully insulated from sounds, from falling snow, from the wind. We light candles inside to add a little warmth and glaze the inside. Warm and comfortable, like a human burrow. Eating and digging are the two main areas of expertise required for successful winter comfort. When not digging our snow palaces, or sculpting snow loungers, there is a good chance that there is cooking to be done. Jalapeño poppers, mozzarella sticks, bacon made up the three main food groups. And then there is the travel ~ the turns are great. Turns make smiles, it's as close as you might get to flying, the falling was beautiful; soft deep snow to cushion the landing, huge puffs of crystal clouds in your wake, your eyes, down your fleece layers. With new storm snow and persistent slab being the avalanche hazards of the trip, we planned lower angle slopes upon which to draw our turns. With the dark sky and falling temperatures the nights start early and the sleep becomes long. The Team; Thanks for your energy and enthusiasm. May the snow be plentiful, stable and dry.